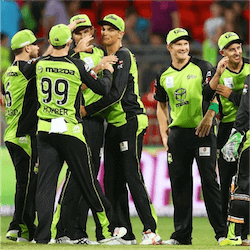 Shane Watson, the dynamic skipper of the Sydney Thunder cricket team has blasted his way to a second season win in a tense Big Bash League (BBL) match against the Hobart Hurricanes. With a target of 162 for victory, the Thunder reached 162 for the loss of four wickets with 19 balls to spare at the Bellerive Oval on Sunday night. 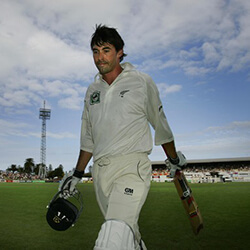 Having won the toss, Watson sent the home team in to bat, choosing to chase runs in front of a crowd packed stadium. After a shaky start at 10 for the loss of two wickets, it was George Baily coming in at number four that steadied the Hurricanes to a respectable score. After being dumped from Australia’s limited-overs squad, Baily had a lot to prove when coach Darren Lehmann pointed out Bailys poor batting in recent games. But with a good Hobart pitch beneath his feet, Baily quickly reached his half-century from just 43 balls and was dropped on 60 to give the Hurricanes an even further advantage. In an interesting turn of events, the Hurricanes dumped Kumar Sangakkara for the match after a weak performance, top scoring with just 22 runs. He was replaced by Ben McDermont who took just 23 deliveries to surpass Sangakkara’s top score for the season. Chasing a score of 162 for victory, the Thunder brought out the big guns. 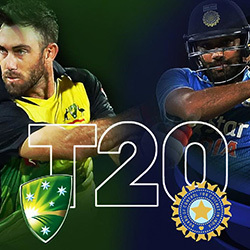 Steadied by Kurtis Patterson with 23 and a solid knock from James Vince with 44, Shane Watson was able to settle into the crease and play a game-winning innings off 55 runs. 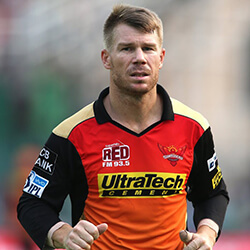 After hitting his fifth half-century in six innings, Watson was caught behind but managed to do enough to give his side the upper hand. After replacing Eoin Morgan who was recalled by the English Team, James Vince gave himself a good chance to show what he was made of. His impressive batting and dynamic playmaking gave the Thunder the boost they needed early on in the game. Combined with Watson’s half-century, the Sydney Thunder cruised to victory with 19 balls to spare. Speaking to the press, Watson thanked his openers who allowed him to settle in and play the game he wanted. Meanwhile Baily criticized his team citing poor batting performance for as the key to the loss.